The Right Rev. 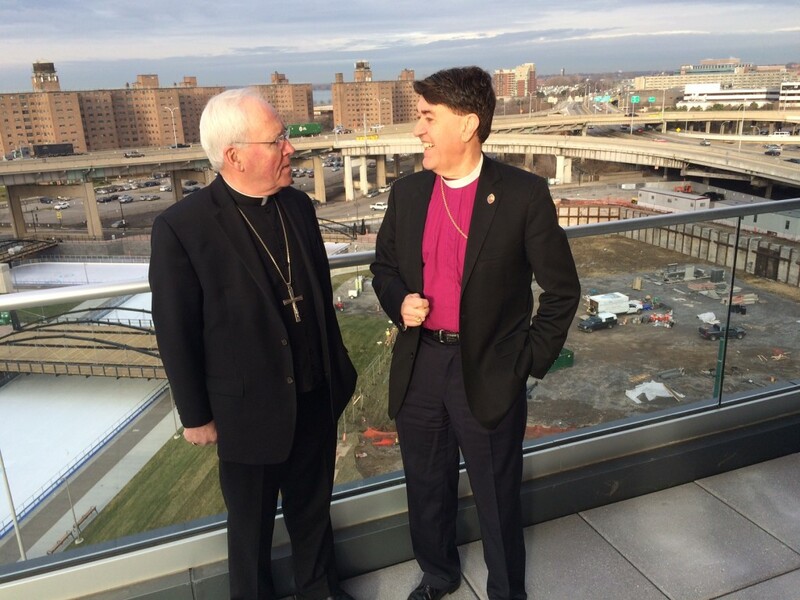 R. William Franklin, Bishop of the Episcopal Diocese of Western New York, and Most Reverend Richard Joseph Malone, Bishop of the Roman Catholic Diocese of Buffalo issued am inspiring joint pastoral letter late last year, which we would like to share more widely. Our thanks go out to Fr. Harry Winter, OMI for bringing the pastoral letter to our attention. They go on to say, “This is our hope for Western New York, where the prosperity generated in one place of renewal must ripple throughout the region. The economic renewal of our region must be a renewal of the Gospel values and ethics that we share as sisters and brothers in the Christian faith. What we say and pray on Sundays must now go out into the world, into the workplace, to the ballot box and to the councils of government to ensure that Western New York becomes a more prosperous community, not only in dollars, but in our investment in each other. Jesus did not call for a society in which each person was out solely for personal gain. He called for a kingdom of shared prosperity, generosity and justice, a society that is more human because it is in conformity with the Kingdom of God. Monitors, promotes, protects and develops human rights worldwide. Each year the UN Economic and Social Council holds an annual ministerial review, in which various countries share their progress on implementing international goals at a national level, including the Millennium Development Goals. Brazil and Kenya, two countries in which the Missionary Oblates of Mary Immaculate and VIVAT International minister, were included this year. Both countries focused on specific initiatives by which they have promoted full employment and productive capacity, essential for achieving poverty eradication, and acknowledged the many difficulties still ahead. Former United States President Bill Clinton is finishing a three-day visit to Haiti today, his first since being appointed United Nations Special Envoy for the impoverished Caribbean nation. During a visit to the country in March, Mr. Clinton and Secretary-General Ban Ki-moon assessed the situation in the wake of four back-to-back tropical storms that battered the country in 2008, killing nearly 800 people and affecting an estimated 1 million people.